Dictionary containing more then 2400 terms. 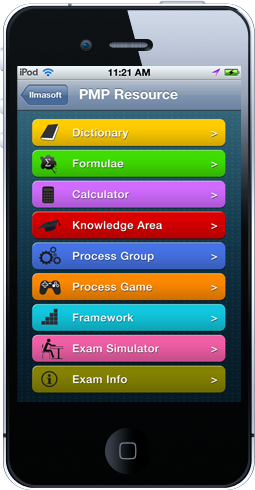 PMP® Dictionary is a collection of more than 2400 terms that are used in project management. The nine knowledge areas with their processes followed by ITTO given. Exam Consists of 200 questions. Clock timed for 4 hours(240 min). Elasped and Remaining time displayes. iPhone, iPad & iPod touch, Android devices and Blackberry Playbook.